Who is mad at me about the click bait title? 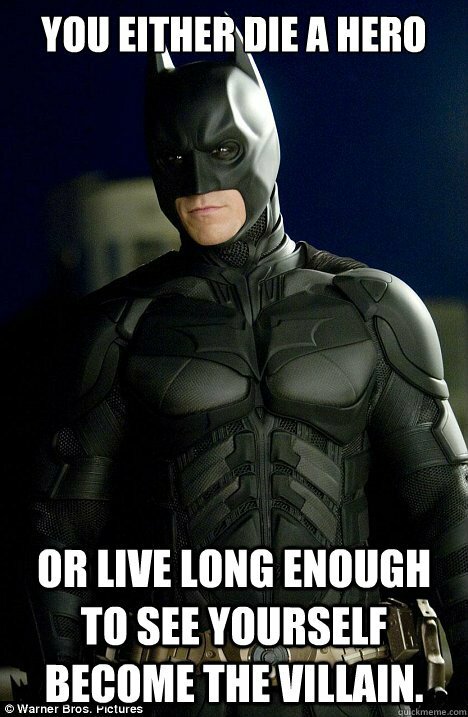 You either die the hero…or you live long enough to see yourself become a marketer that uses click bait titles. I do feel like we neglect one of the most powerful themes our links can have when performing local SEO, and that is geographical relevance. We have tested the concept of making our links more “geo-relevant” for over three years now and our links stand the test of time. If you look back in my first training I released in Local Client Takeover, the free video course that helped explode the organic growth of our LCT Facebook group, you will find I was making geo-networks and adding geo-specific modifications to my links back then. We have improved upon this and are constantly trying to improve and build on this as we move toward a hyper geo-relevant link building solution for our clients. 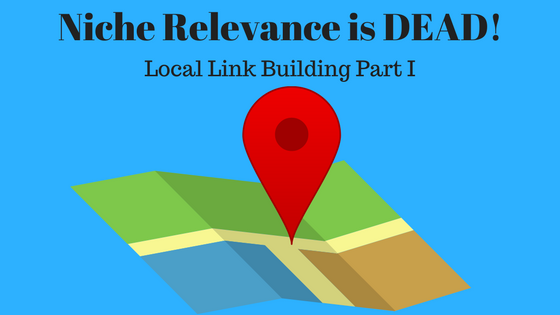 In this post, I want to cover ways to get real local links, modify your general links so they have a local or “geo” theme to them, and all around just take your local link building to the next level. I have to save some of the juicier stuff for The GMB SEO Specialist Course, but I think this post will blow your mind. A lot of time in this industry when we talk about building networks the conversation revolves around niche relevant sites that make up a PBN (Private Blog Network). This is neither. 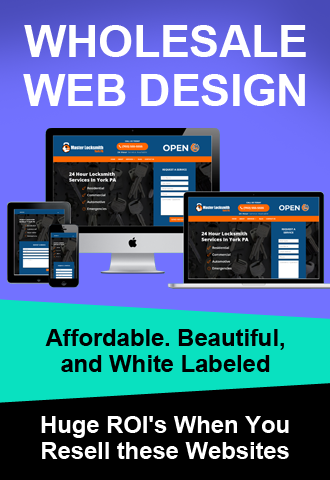 The concept behind this strategy is to use social accounts and web2.0s that are themed for the area in which you are ranking rather than for a specific niche. This is accomplished simply through creating a persona in the specific location in which you would like to rank. I have seen people try and make these using individual personas and then posting content that is themed to the location. We use what I consider a better strategy and I want to run through it quickly with you. Once we have the desired location I want to create a geo-relevant persona. This can be some type of fictitious organization, association, local committee, etc. Quickly throw together a description of the entity you just created and you are ready to move along to the next step. Make sure this blurb about your new creation mentions the locale a few times. In this example, we mention the city three times, the state once, and the residing and closes surrounding county as well. There is not an exact formula to follow here, just keep in mind we are optimizing these for an area rather than a keyword and we are not really going t0 get filtered by mentioning a city too many times on a tier one property. A quick recap will show that we picked a location in the area we want to rank a site, we created an entity with the city in the name, and then we created a believable description that is also optimized for the local area. This is what we are looking for when creating these accounts. The next step is actually building out the profiles. Keep in mind you are building them for this fictitious entity that you created so put yourself in the shoes of someones that would really be creating some social sites for their brand. You can choose which platforms you are going to use to create the network for our new persona, but we typically use a basic list over and over again. Google Sites, About.me, Blogger, Facebook Profile, Facebook Business Page, Issuu, Livejournal, Medium, Pen, Soup, Strikingly, Storify, Tumblr, WordPress, and Weebly are the usual suspects for our geo-networks. If you want to get extra fancy you can create unique articles on the profile and embed custom MyMaps with driving directions into the content. You will find me recommending this throughout the post as it is a great way to add additional local signals to any link and I am a firm believer that Google takes things like that into consideration as they tighten up their serving of results based on proximity. Just to recap… Create your geo-specific persona, create some accounts under that fictitious entity, add a bunch of unique content, throw in well optimized Mymaps with driving directions, and you have yourself a Geo-Network. The really interesting thing about using these is that you are not really limited to using it for one client only. 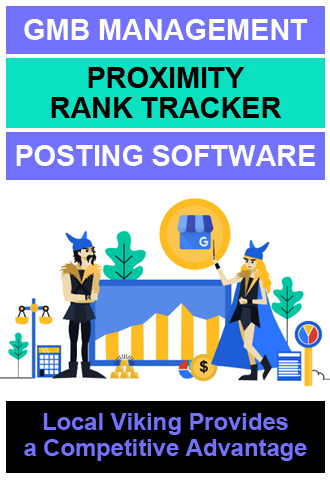 If you have multiple local campaigns to run in that location then you have this social network that is topically relevant to the area in which you are trying to rank. If you guys do not want to deal with creating these for yourself then I got you guys a Local Client Takeover exclusive deal for these done for you Geo-Networks. and use this coupon code for 20% off! This will be a section on a series of modifications you can make to any old link to make it more specific to the area of your client’s business. 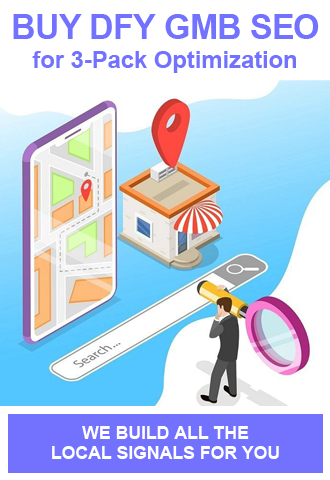 Building links to your site are going to increase the brand prominence, what we are trying to do with these links is cater to the proximity signal that Google looks for when ranking local sites. You can use these methods for your pillow links, guest posts depending on the publishing agreement you have with the site owner or contributor that is placing your piece, your own network links, etc. The sky is the limit. The best part about this section is all of the strategies are quick and inexpensive to implement into your current link building campaigns. 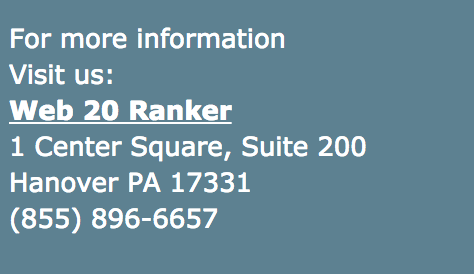 NAP stands for name, address, and phone number in the local SEO world, but I am sure that all of you already knew that. The importance of having them included in your backlinking and that is to establish brand prominence in the eyes of Google. Usually, NAP and the consistency of it across multiple third-party platforms come up conversations about citations. There are two different types of citations and they are structured citations and unstructured citations. The only subtle difference is that structured citations are found on business directory sites like Yelp, Yellow Pages, Angieslist, etc. This is the typical citation that gets discussed. The other type of citation is called an unstructured citation. This is what we get when we add our NAP to any other site on the web that is not a formal business directory. We started aggressively turning our general links into unstructured citations and never looked back. We also make adding them to the content extremely simple. This is an example of us throwing the NAP into the bottom of a web 2.0 link that we created. Easy as pie. Maybe naming this section what I did was the wrong way to go but we add links to and/or embed two main properties to our links when we are working on local SEO campaigns. This is GMB embeds or links to our GMB and adding in optimized Mymaps. Embedding your GMB is fairly straightforward, but if you do not know how to build a Mymap then I am going to add some information you will find useful and a link to watch Chaz build one step by step. The one thing we changed from this video is that we do not use GSA or FCS anymore. Whatever you decide to use to embed and build links to those embeds, if you so choose to do so, keep the velocity at a natural looking level for local campaigns. Throwing a map onto the links that allow the embed can be a great way to “localize” the link you are building. A lot of the content that people create for their tier one backlinks are niche relevant. There is nothing inherently wrong with this but you can always change this strategy up to create a link with a truly local feel. This copies the ideas used for the Geo Networks that we spoke about above. Instead of throwing together a niche relevant block of text to use on your links, next time put together a post that pertains to the area of the business. 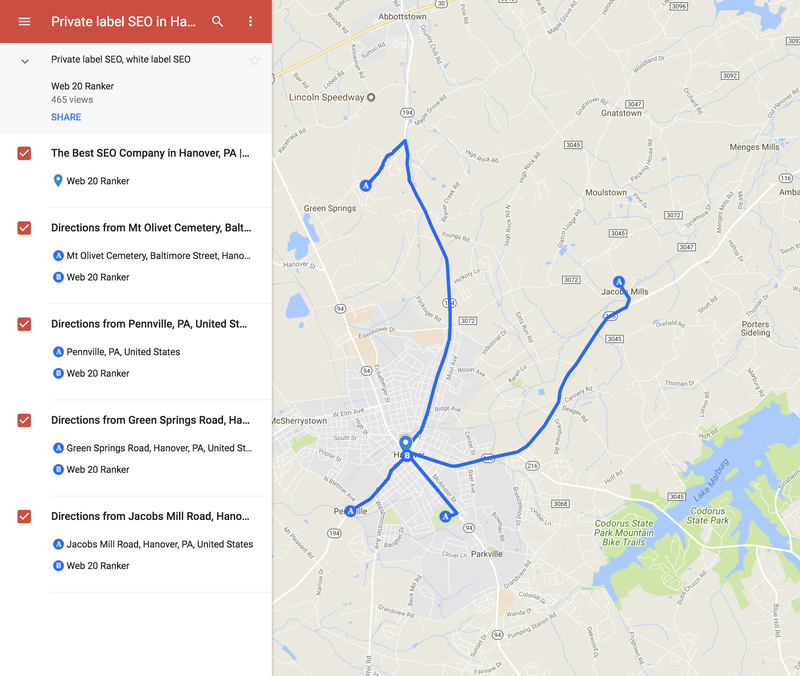 Sometimes it might be difficult to fit this into the content in a non-spammy way, but adding the longitude and latitude or driving directions from a specific location to the business could help reinforce the locality aspect of the link to a crawling Google spider. In some cases, sites that you add images to might remove the metadata from the image, but in cases where you can add geotagged images, this can also be a great addition to the piece of content. Local citations are nothing new to most of you. Assuming you build quality citations that actually index, they can make a great addition to any link building campaign. The issue is, most SEOs build the top essential local citations and then move on to other link building activities. This leaves a lot of potential link building on the table. 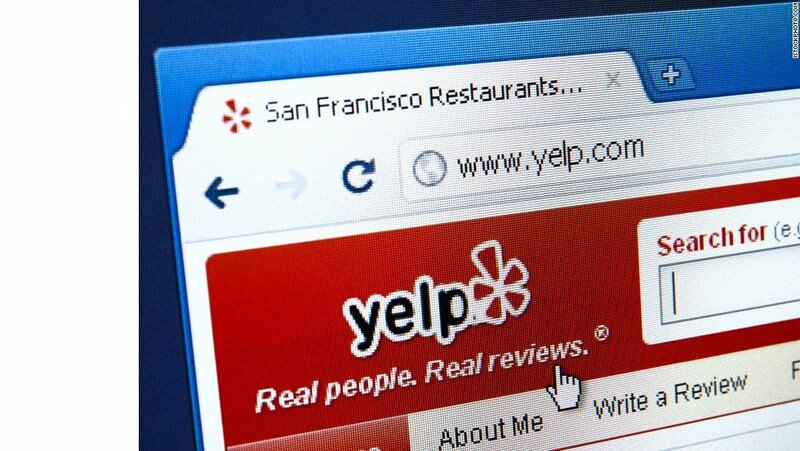 Some of the business directories for specific cities might not come with the same metrics that your monster authority sites like Yelp and Whitepages do, but the local specificity is going to make it a high-quality link. You can use tools to find the citations that your competitors are building in local areas, and that can unearth some directory gems, but even doing custom scrapes yourself will allow you to build a fine list of sites that can provide you with a structured citation. 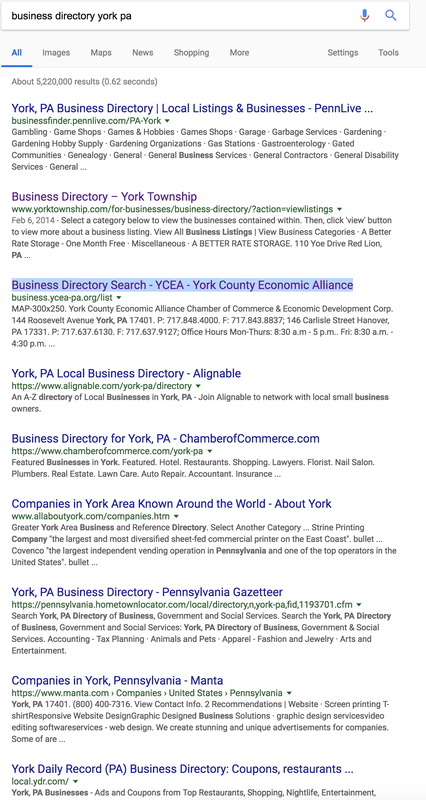 Just doing a quick search for business directory + city gives a bunch of results to which we can add our site. Keep in mind the example above is in a really small city. The population is ~50k people. Imagine how many results you will have for a city with 200k people! What about a million people? You can put together really nice citation lists in cities in which you are working. Some of these sites will be paid directories, and for the most part, I am not a huge fan of those, except in the case of them being niche or geo-relevant. I am going to drop a few more search queries here so you guys can work on scraping a larger list of these sites and get started on building your own hyperlocal citations. There are some to get started with. Again, be sure to follow our citation building guide I linked to at the beginning of this section. Great post, Mark. Thanks for sharing. Hey Mark, enjoyed the article and the Chaz video. What type of links do you recommended building to the Google my maps? Thanks a lot for reading. Glad you enjoyed. There are a few different ways you can approach this. 1. Embedding the maps into blog posts (PBN, web20, etc.) and then building another tier of links to the pages in which you embed the Map. No matter what you decide to do, just keep in mind to make everything look natural. Blasting tiers with tens and thousands of links looks super spammy. Boom there you have it local ranks local ……start building your private network with local relevancy ! I guess I could have just deduced my article to “local ranks local” and called it a day. haha. You speak the truth. We have more data from testing we will be releasing in the next iteration of this post, but I agree with you 10,000%. Thanks for reading Mike! Can we use NAP like the example below, would it be useful? Adding in NAP is a great addition to links you build. Thank you for this Mark. Do you feel that adding the city and state to the meta titles of pages you are linking from also adds geo-specificity? Thanks for reading Cary! I think increasing the geo specificity of the page that is linking to your money site is a great idea and giving Google content to crawl that includes city and state is one way to do it for sure. (1) can you use the same email account to create all the 2.0 properties, etc. (2) do all of the geo properties link to your client site or just one or a handful? No questions are silly, my friend. 1. Yep. Google cannot see that footprint. 2. Some people do things a bit differently but I link from the site inside of the platform, not set the URL as the site for the platform if that makes sense. So, if it is a 2.0 I will make a post on the 2.0 where I naturally fit the link back to my money site. If it is a social account I will share the URL. But I see how it fits above.